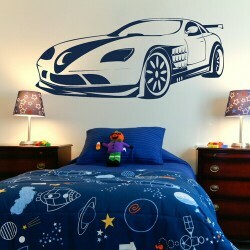 If you have a budding race car driver and are looking for a simple, impressive and affordable way of brightening up their bedroom, our car wall stickers are the perfect solution. 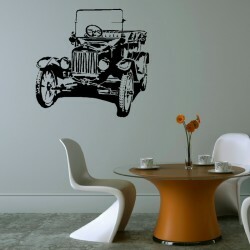 Modern wall stickers are made from high quality materials and designed with ease of use in mind. Simply peel the sticker away from its backing and press into position on the wall. Rest assured that if you choose to remove the stickers in the future, they will not cause any damage to your existing decor. They can be used in any room of the house with effective results. Do not feel you must limit yourself to bedrooms; consider brightening up a den, conservatory or playroom as well. There is no need to worry about spilled paint and messy handprints with wall stickers. Therefore, this can be a great opportunity to introduce your child to the concept of decorating, in a safe, relaxed way. Use your imagination, or encourage your little one to give you some inspiration! Together you can create a speeding race track, full of movement and adventure, to delight your child and excite their imagination. 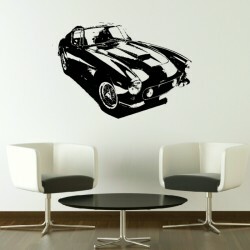 Alternatively, a few stickers placed randomly around can hint at a favoured hobby or interest, placing a individuals stamp on a room. Children love to have a personal space and customising a room makes it feel like their own, especially if you have recently moved. Moreover, their room is where they spend lots of time, so it should be special. Consider the relevance of where you position the stickers and how many you use, as these factors will influence your results. If there is a lot of space to fill then focussing your efforts on a single wall, using a slightly more complex design, can work well. If clear space is limited however, use shelves, doorways or bed heads as a starting point for your ideas. You could treat your child with a magical surprise, like a busy traffic jam of vehicles running along the length of their bed. It is likely they will be delighted with the result and look forward to spending time in their fun new room. The beauty of this product is its versatility, once you have decided on a certain look or theme for a room, you can get started. 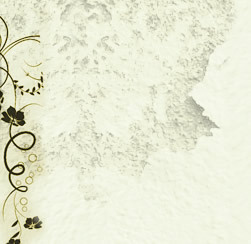 There is no glue or preparation involved, other than ensuring the wall is clean and free of dust. 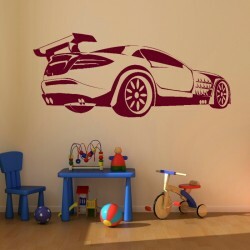 A room can undergo a complete transformation over the space of a day, and it is this immediacy that makes wall stickers such a popular choice with children. 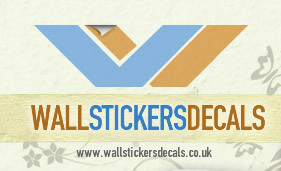 Car wall stickers are detailed and full of colour. You will not need any previous experience or artistic flair, to compose an attractive installation that has a polished finish. These decals are professionally designed to have a real wow factor straight from the pack and appeal to children of any age. Cars and vehicles of all shapes and sizes are available, so you can be confident of finding the right design for your home.